Good Stuff NW: Talk About Baby Corn! 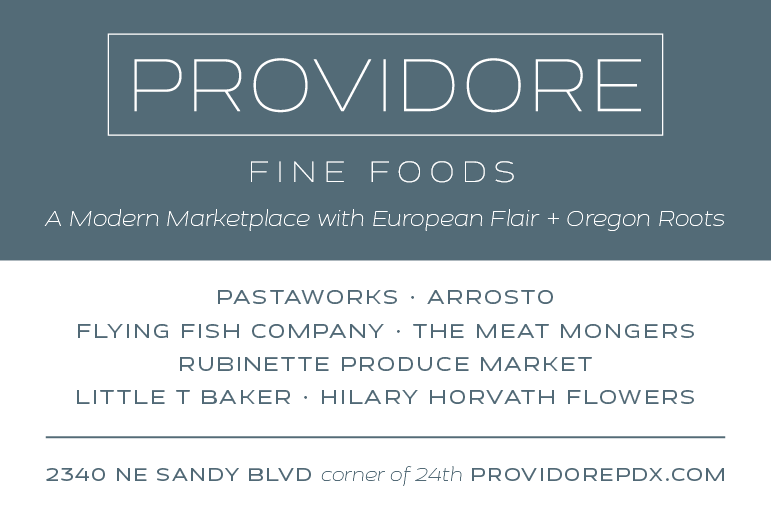 From the folks at Viridian Farms, those insidious farmers who got us addicted to pimientos de padron, comes the next sensation in Portland dining: I give you…corn shoots! 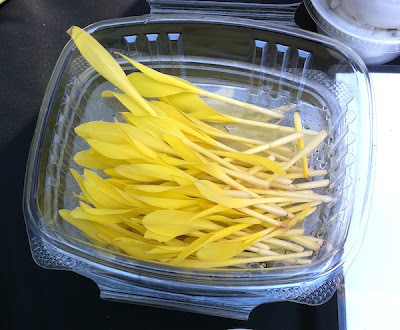 I saw these little yellow flower-like shoots sitting oh-so-innocently on the side table at Viridian's Portland Farmers' Market booth last Saturday and, having no compunctions about proclaiming my ignorance in public, asked what the heck they were. The young woman tending the booth said, "They're corn shoots. Try one!" I popped one in my mouth, munched down and got an immediate bitter flavor that was quickly followed by a flood of full-on corny sweetness. They're $4 for a little container, but these are going to be a huge hit on some restaurant appetizer plates or, if you get to them before local chefs do (I mean you, Anthony! ), sprinkled on a salad at your next dinner party.